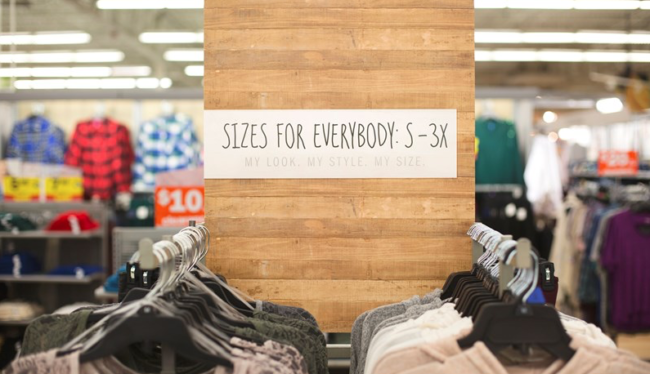 The movement to integrate plus size fashion into the regular fashion departments at major stores has just gone up a notch with Midwest retailed Meijer beating out all other brands and companies with this huge commitment. They have pledged to ensure plus sizes up to a size 3X are part of every clothing selection in all 230 of their stores across America by early 2017. Yep, they went there! You may remember how H&M made a huge leap forward by hiring supermodel Ashley Graham to front a campaign that wasn’t specifically a “plus” campaign. It sent a signal that they are listening to the masses of consumers who are sick and tired of seeing the same female archetype in almost every bit of fashion advertising in the mainstream. Although it was a necessary and progressive move, it was heavily criticized for only offering plus size clothing online, not in its stores (an aspect we included in our story linked above). The message heard by many women was that the world’s second largest clothing retailer is paying attention to the body positive movement and demand for greater diversity, but it is only willing to take baby steps (or even tokenistic steps) toward change. And when you are the second largest clothing retailer in the world, you have a chance to really lead the way on change, which is why it became such a disappointment. Their loss became a prime opportunity for Meijer, a chain based out of Michigan which serves a huge portion of the Midwest population. They were ranked no. 19 on Forbes’ 2015 list of “America’s Largest Private Companies” and is also the 26th-largest retailer in the United States. They are no small fry, with stores in Illinois, Ohio, Wisconsin, Kentucky, and Indiana. 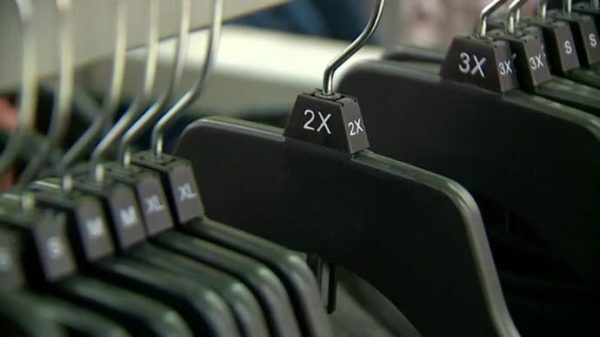 Customers can look forward to sizes S – 3X hung together on the Meijer racks, and pay the exact same price no matter what size they purchase. “Over the past few years, we’ve placed an increased focus on bringing more on-trend, affordable apparel to our customers. This fresh approach to shopping represents a continuation of that commitment, giving our customers the trends they’re looking for, regardless of what size they wear,” said Peter Whitsett, executive vice president of merchandising and marketing in an emailed press release. “Plus-size apparel is often priced higher than missy or women’s sizes. We believe all our customers deserve to pay the same price for the same trends, regardless of size,” said Annette Repasch, group vice president of softlines for Meijer. For every woman who has ever shopped at a major store and struggled to find her size on the regular rack, and felt as if there was something “wrong” with her for not fitting in, today you have been vindicated. This message of inclusion that Meijer is sending is important. For too long the plus size department has been considered “other” or “niche”, but in reality it is a billion dollar market catering to the majority of average American women today. Fashion guru and TV personality Tim Gunn has been a vocal opponent of mainstream fashion’s reluctance to cater to the plus size market, saying they have no reason to ignore such a lucrative opportunity. He is right. 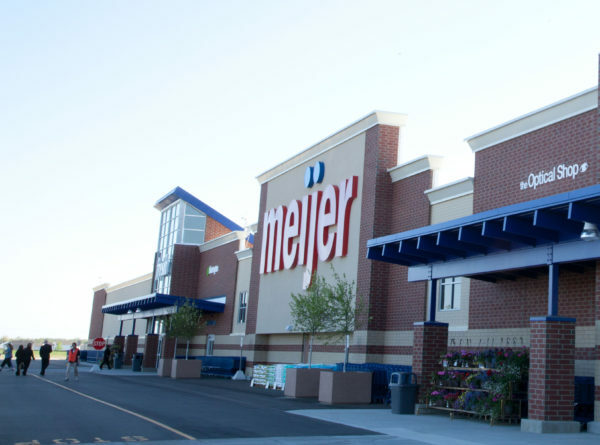 We spoke with Associate Professor Jennifer Maher, who heads up the Gender Studies Department at Indiana University, who said what Meijer is doing has been a long time coming and other companies should take notice. She also shared her perspective on why there is still such a push back from designers and retailers to venture into the plus size market, saying it is all about marketing an “aspiration”. “Fashion is equal parts stuff you need to wear and fantasy. Very few of us could afford the clothes we see in Vogue, and even fewer of us could fit into the sizes we see the models wearing. But we still like to look and imagine ourselves in something like what we see and for this reason I think a lot of fashion won’t market to actual sizes because it puts their clothes in the ‘actual’ world,” she said. She credits bloggers and social media influencers who are democratizing this industry like never before, yet the politics around women’s bodies in general (which includes controlling their reproductive rights) plays a huge role in how fashion seeks to do its own version of that. “If we ‘control’ women’s bodies by telling women they have to fit a very narrow standard, then we keep women down (the amount of time you spend at the gym or on your hair or with a headache because you are dieting is directly inverse to how much time you can spend taking control of the workplace and the world). That sounds like a bit of a conspiracy theory but it is hard to imagine capitalism continuing if we didn’t need a whole lot of STUFF to make us feel less insecure about ourselves,” she said. From a designer perspective, the reluctance from the bigger names has made way for up-and-coming designers to take advantage of a market that in turn allows them to rise to the top of a very competitive ladder. 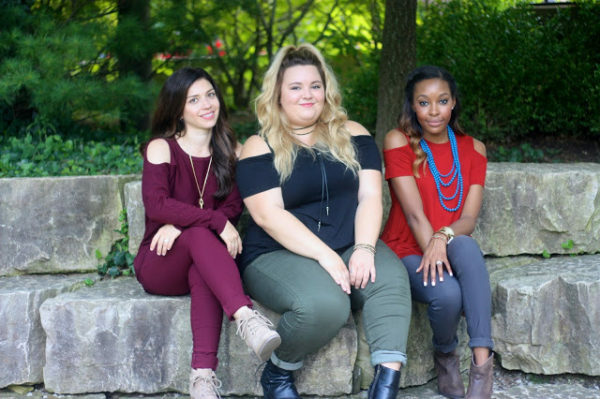 We spoke with Mallorie Dunn, creator of Smart Glamour which is a NYC-based label that caters to all sizes, and proves it by hiring models of all shapes and sizes for their campaigns. Their images and videos have been featured on Cosmo, Bustle, Upworthy, Refinery29, Buzzfeed and more. Although she is a smaller label, she regularly tracks what the bigger stores and brands are doing. Because she started out being as diverse and inclusive as possible, she is encouraged to see a major retailer like Meijer committing to doing the same. “The fact that plus size clothing is relegated to a separate section in department stores – sometimes on a completely different floor than straight sizes – is ridiculous on so many levels. Separating plus size women from the rest of the population that shops just discourages them from shopping at all. We want to shop with our friends! In groups of all shapes and sizes! This should not be a revolutionary act – but it is,” she told us in an email. Her hope is to see even more brands and stores including plus sizes into their main selections, and going past the 3X/24 limit. It’s about time all women were given permission to feel confident and beautiful in their own bodies. “People of all shapes and sizes deserve the same access to clothing, fashion, beauty, and the self worth and empowerment that comes along side those things,” said Mallorie.